The week is up, the period of mourning is over. My latest “week without caffeine” push has finally finished. The picture in this post is my tribute to the hot drink that helped me get through the 168 hours of torture: Rooibos. 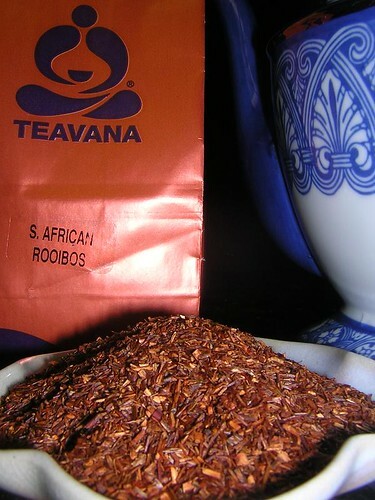 Unlike tea, rooibos is completely caffeine-free, but is still rich in minerals & anti-oxidants. I think it may be in my top 3 hot drinks now (sorry, green tea! ), and I expect to be drinking a lot more of it in the future. Okay, now I’m off for a cuppa, see y’all later!